Welcome back to "Candid Chef" — an interview series in which Southern Kitchen staff members talk to some of the South's most talented and interesting chefs. In addition to getting a few tips, tricks and insights on cooking, we ask personal questions that chefs may not get to answer very often, and learn more about the hearts and minds underneath those aprons, jackets and toques blanche. 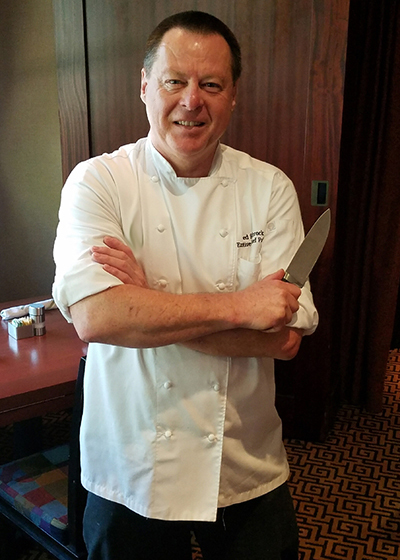 Fred Schrock is executive chef and partner at the Atlanta Perimeter location of Seasons52, and father to Southern Kitchen content intern Elisabeth Schrock. Prior to opening Seasons52 and running the kitchen for more than 11 years, the Austrian chef spent decades rising from apprentice to restaurant owner, with restaurants in Atlanta including Arugula Restaurant which served New American fare, and a restaurant called Lantana's in the Cayman Islands, where he mixed Mexican cuisine with West Indian flavors. Though most of his time these days is spent behind the line managing things, the father of three shared with us the joys of cooking, what it's like to be "in the weeds", his hobby of nature photography, listening to Bob Marley while cooking, and his favorite budget beer. Well, I’m originally from Austria. I started at 15 and I honed my skills for a couple years, and I went through Europe a little bit. I got the itch to travel and I always wanted to experience the Caribbean -- really anything other than the Alps, you know, mountains and all that stuff. So, I tried to get on the cruise ship line but I was too young for that. Then, I finally landed a position in Bermuda at the Reef’s Hotel, which is right at the ocean, really nice. It was an amazing journey: coming from Europe and Austria, and getting to Bermuda and experiencing seafood and fish, fruits and vegetables I'd never seen before. I stayed there for about 3 years and then I moved on to the Cayman Islands and got stuck there for about 15 years. And it was nothing short of paradise. The fisherman would come everyday to your door and say "This is all I got today," but it was fresh mahi mahi or tuna, or whatever, and it was just absolutely amazing. Then from 1990 to 1991, I opened my own restaurant called Lantana's, which was highly successful – I operated that and ran it for about five years. Then [my daughter] Elisabeth came along, and her mother said she did not want to stay anymore and she wanted to go back the U.S. That’s when we moved to Atlanta, Georgia, in 1996. We picked Atlanta because Elisabeth’s mother’s sister lived here; to me it didn’t matter where we went because it was going to be new to me, so I said "Atlanta is fine." And we’ve been here ever since. I opened my own restaurant here in Buckhead called Arugula, right on Piedmont and Roswell, and ran it for about five years, then I opened up Bahama Breeze in Alpharetta, stayed with them for about five years and then moved on to Seasons52 in 2006. That’s my story. As someone who has owned a restaurant, what are some of the crazier things a restaurant owner has to deal with? You really have to deal with everything. I think the fun part was cooking and pleasing guests, and the crazy part is you have to wash dishes and run the dish washer if people don’t show up... The restaurant needs to stay clean. There were many, many days where I went in at 7 o’clock in the morning to mop the restaurant before transitioning into prep to get the restaurant ready because the dish washer wouldn’t show up. But there’s lots and lots of rewarding stuff, like when you go to the market and pick up what you are going to cook, and [decide] how you’re going to prep it and what kind of sauce you’re going to make, and how awesome this is going to be. And then you put it on the plate and finally present your product to the guests. And they love it. When you’re going through the process of cooking and preparing a meal, for family or yourself, what do you do to keep yourself entertained? When I cook at home I have my own recipe collection on my iPad, and I like to get a little Bob Marley going. It becomes kind of relaxing. And I don’t know if I can say this or not but I like to have a beer or two while I cook. You’re going to laugh at this but I only drink one beer and if I can’t get it I’m really upset: I like my George Killians Irish Red. I’m not mad at that. *Laughter* Last week there was kind of a shortage – nobody had it in their store. I said to Elisabeth, "Oh my god… the Killians, I don’t know what I’m gonna do!" But then there’s also Smithwick’s. So you like Irish beers? What was the last thing that you cooked that was amazing and what do you think made it so good, even if you've cooked it before? What was the last thing you cooked that was not great, and what do you think happened there? I like to bake but I’m not good at it. I think it was like last year or so; I tried to make a red velvet cake for my team here at Seasons52. I love red velvet, I really do, and I wanted to see if I could do a good red velvet cake. I researched it a little bit but I totally totally messed it up and it came out after an hour and a half as dry as could be. Absolutely awful. I don’t know exactly what I did or how I did it, but you could’ve used that exact cake as a spare tire for any car… that’s how it came out. What’s probably going through a chef's mind when he or she gets in the weeds? Oh my god. Gotta get it out, still got to make it perfect, and got to get it on the plate. I think when you’re in the weeds you kind of run a priority list in your head, almost like a computer. What’s going to come first? Is this order going to come first? Is it going to go in the fryer first? Is it going to go on the stove first? It’s always prioritize, prioritize, prioritize, until you see daylight again. What would you say the feeling is like if you had to compare being in the weeds to any other situation? It’s probably a little bit like drowning and kind of gauging what is the next best object I can get my hands on to stay afloat, and then go from there, object to object, until I can be afloat again. You get that sinking feeling of drowning and you need to tighten up organizationally. What kitchen tool are you willing to spend top dollar on, and why? Definitely a knife. For me it's about quality, the way it holds its sharp edge and how the knife feels in your hand because that’s the way you feel comfortable. What is your favorite fast food or fast casual restaurant, and what do you order there? Honestly, I never really eat fast food, but every now and then, maybe two or three times per year, I get my Chick-fil-A. And that’s really it. What’s the best cookbook that you’ve read recently? 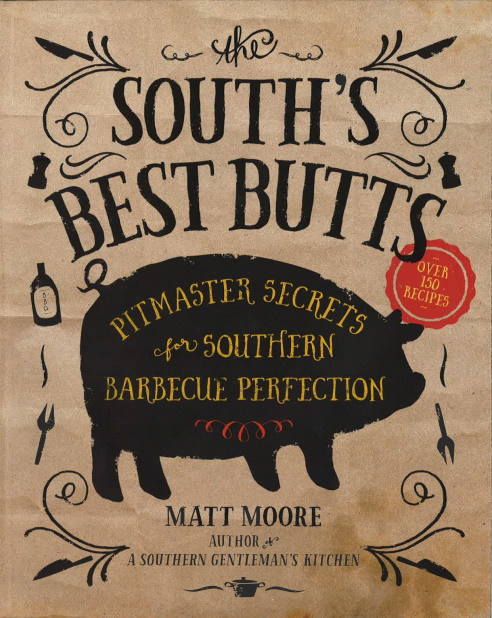 The South's Best Butts. Elisabeth and I talked about trying this and that because it said we need to make some cornbread. It’s a pretty neat book. Is there a dish that you would never cook or wouldn’t even try? Rattlesnake. Yeah I’m not into that. But other than that I’m pretty much open to eating or cooking anything if I can get my hands on it. What’s your biggest pet peeve when it comes to being a chef? Organization. Whether it’s a frying pan, a knife, meat sauce or whatever, everything must have a home. And it’s got to go back everyday, and that’s where it lives until decided otherwise. If I’m going to go in my walk-in refrigerator, I should be able to go in there blindfolded and grab whatever I want because I know it’s exactly there. It’s not one inch on the other side, not on the other shelves, not on the top, not on the bottom -- it’s right there. I always liked photography I just never really had the money and time to really pursue it. But a few years back, in 2013, I got pretty regulated time off at Seasons52, so I can always have two days off pretty much guaranteed. And my kids are older and driving now, so I don’t have to go run and pick them up, so all of a sudden I had spare time and didn’t know what to do with it. So I got a camera and said, "Georgia is a really wonderful place; lets take some pictures." 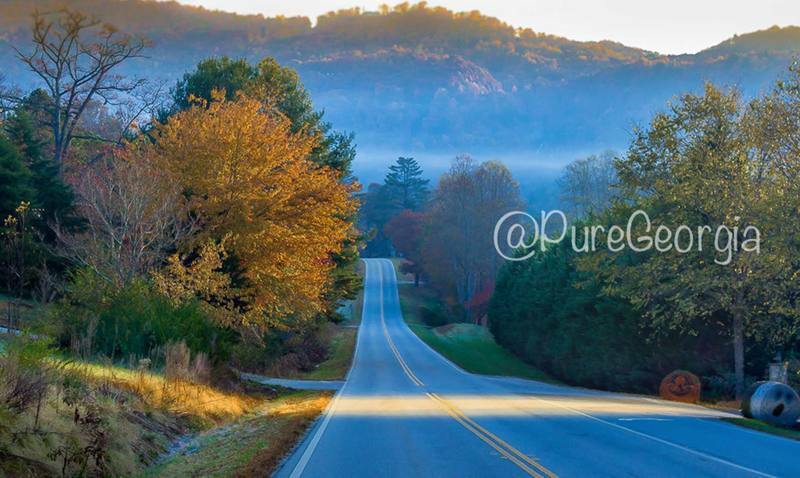 And I just go on my days off to the state parks or up to North Georgia. I’m looking forward to autumn, when the leaves change. It's really almost therapy to get away from all the crazy people, just be with myself up there in the mountains. It’s just great. Are you a Nikon or Canon person, and why? Canon… 100%. And I don’t know! No one ever knows. It’s like "Are you an Audi guy or BMW guy?" And it’s like "I am an Audi guy, of course!" Last question: Cooking can be intimidating and maybe a little confusing for people who are just beginning. Do you have any encouraging advice on how to get started? I guess my advice would be to start with four basic items. Like, you should be able to make mashed potatoes, you should be able to make rice. you don’t need to go into ‘I need to make a (? )’ or something like that… you don’t need to do that. But it’s like Elisabeth and my other daughter Katrina, they are off to college and started cooking, they need to feed themselves and that’s what I’ve been teaching them. Do the basics. Learn how to make a salad, learn how to make your basic vegetables and nothing complicated. Start off with recipes that have probably like 3 or 4 ingredients or you will get overwhelmed. If you look at a cookbook and start off with a recipe that has 15 ingredients, you don’t even want to start because you’ll get overwhelmed. Start off with 2 or 3 ingredients, make it perfect, make it as many times until you get it perfect and then move on from there.